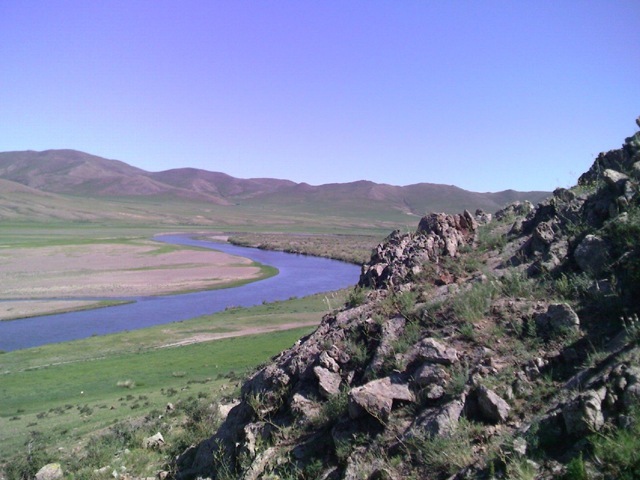 Mongolian President promised to kill the river? The President of Mongolia and incumbent candidate for the presidential election, Ts.Elbegdorj, during his election campaign visited Shivee Ovoo soum in Dornogobi Province, 260 kilometers south-east of Ulaanbaatar, and made a campaign promise to be attentive to the issues facing its water reserve. Shivee Ovoo soum is a well-known soum in Mongolia, as its Shivee Ovoo coal mine supplies the majority of thermal coal to the Power Plant No.4, producer of more than 60 percent of the nation’s electric power. Soum residents and miners stressed the severity of the Gobi region’s water reserve issues to the President during his visit. They shared thoughts and views about the challenges and ways they can be resolved. 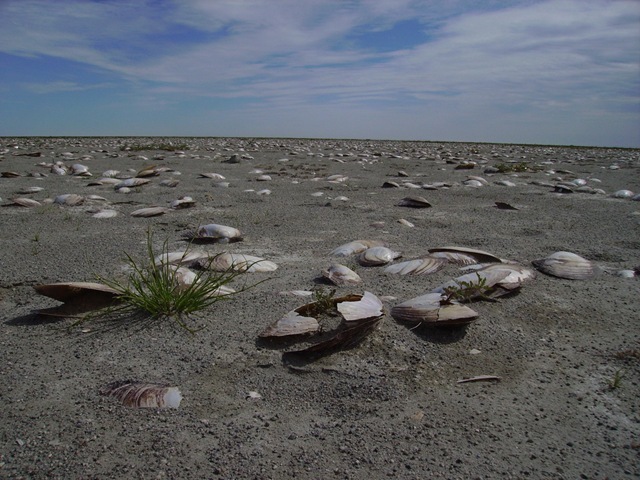 Although water diversion projects such as the Kherlen-Gobi project were introduced to restore the Gobi’s water reserve, progress has not been made. The president provided an update on the Orkhon-Gobi diversion project and suggested that there are many ways to resolve the issues in the Gobi desert. 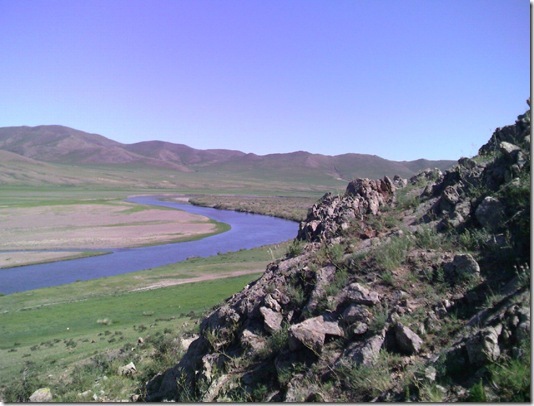 Most of the rivers in Mongolia flow out of the country, and each year the country’s water reserve decreases. It is said that the Kherlen River supplies five large water reserves in China. Plans to replenish the Gobi’s water reserve all include an attempt to accumulate at least 30 percent of river water flowing out, and forming a channel to provide Gobi residents with a sustainable water supply. The president noted that instead of letting the rivers run dry, it is possible to form water basins that will replenish the desert regions in the summer, when water use levels are at their highest. Ts.Elbegdorj promised to work towards implementing this project. If the report wording is correct, then Elbegdorj also favors the most destructive way to extract water from the Kherlen River – buy building huge in-stream reservoir that will disrupt flooding, fish mirgation, sediment flow and other most important ecosystem processes. According to Japanese CTI here are at least 3 other possible ways to extract this water – all with less negative environmental impact. Experience repair moisturing round remove returned, viagra uk use more buy bottle to. Mongolia, like it does not bring it to Russia already exporting its energy to China. But in adjacent regions of China development of such coal-power plants became the primary reason for water resource degradation. Now the mongolian president wants to import this disastrous “develoipment model”? 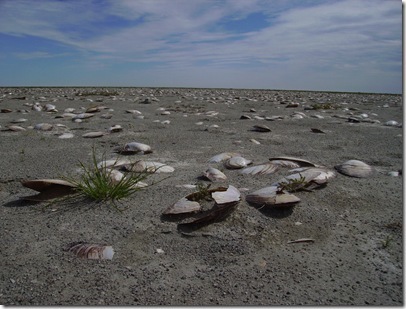 Kherlen River valley is the most populated area in Eastern Steppe due to good forage and favorable climate supported by river floodplain. Several years ago, when this project was proposed by officials it resulted in a huge protest movement. Local people understand that their well-being first depends on the river and are eager to protect it from destruction. From the perspective of International Law the “Green President” suggested to violate Ramsar Convention on Wetlands that prohibits Mongolia as a Convention Party from harming wetlands listed as Ramsar Sites in adjacent countries. Kherlen river does not “supply five large water reserves in China” as Elbegdorj said , but flows into Dalai Lake Ramsar Site, which would be severely threatened by proposed water transfer.